Heavy metal in 1985 was still a morphing and always changing landscape, as there were groups thrashing as hard as they could, bands that were taking evil beyond its limits (Bathory and Celtic Frost), and then there were bands like Chastain who wanted to play like their heroes in Iron Maiden, Judas Priest, etc. 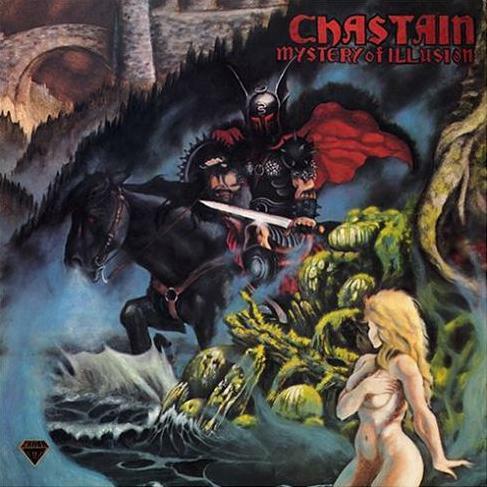 A lot of American bands who played in this vein were usually a bit faster and ended up pioneering the USPM subgenre, but Chastain played very much like the forefathers on “Mystery of Illusion,” the band’s debut full-length record. Was this band’s rendition of heavy metal as good as the legends before? No, not really, but this album serves as a terrific foundation of what was to come in this band’s future. 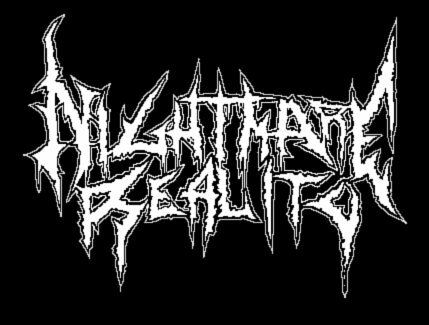 As many would expect, the songs on this album are dominated by midpaced riffs and a lot of melodies, which is made apparent on the first track “Black Knight,” which consists of the aforementioned riffs and a decent melodic intro. The melody that opens “I Fear No Evil” is definitely an ear-catcher and the riffs later on also follow suit. Unfortunately, Chastain wasn’t very consistent and songs like “When the Battle’s Over” and “I’ve Seen Tomorrow” tread along a mediocre path due to derivative riffs and a lack of proper execution that was seen on other memorable tracks like “Mystery of Illusion” and “The Winds of Change.” Another track that just didn’t stick well at all was “Night of the Gods,” a sludgy song that had plenty of St. Vitus and Black Sabbath influence, but this clearly isn’t the style of music that Leather Leone and the crew excel at. Speaking of Leather Leone, she is one of the highlights on this album with her beautiful voice that possesses an insane range. Her singing on “Endlessly” is soothing and pleasant, but she can also hit the high notes and bring a bit of aggression to her vocals as well (“I Fear No Evil”). Another bright spot on this full-length is the lead guitar work of David T. Chastain. There are of course the aforementioned melodies that show off his skill, but this man can absolutely shred and this is noted in just about every song. His solos are brilliant, there’s a perfect mix of melody and technicality in every one, adding something to remember on even the dullest of songs. “Mystery of Illusion” isn’t the greatest heavy metal album that you’ve never heard, because there are plenty out there that are better, but it’s still a quality listen from a stellar band who would later go on to unlock their real potential with their next release.